Darden Restaurants, Inc. DRI was a big mover last session, as the company saw its shares rise nearly 7% on the day. The move came on solid volume too with far more shares changing hands than in a normal session. This breaks the recent trend of the company, as the stock is now trading above the volatile price range of $107.64 to $112.11 in the past one-month time frame. The move came after the company reported better-than-expected fiscal third-quarter 2019 (ended Feb 24, 2019) results. 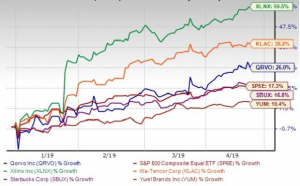 The company has seen one positive estimate revision in the past few weeks, while its Zacks Consensus Estimate for the current quarter has also moved higher over the past few weeks, suggesting that more solid trading could be ahead for Darden. So make sure to keep an eye on this stock going forward to see if this recent jump can turn into more strength down the road. Darden currently has a Zacks Rank #2 (Buy) while its Earnings ESP is positive. 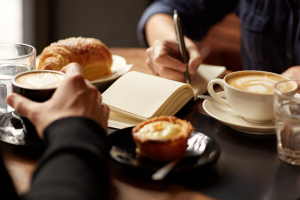 Investors interested in the Retail - Restaurants industry may consider Starbucks Corporation SBUX, which has a Zacks Rank #2 (Buy). You can see the complete list of today’s Zacks #1 Rank (Strong Buy) stocks here. 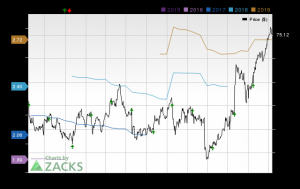 Starbucks (SBUX) Earnings Expected to Grow: Should You Buy? 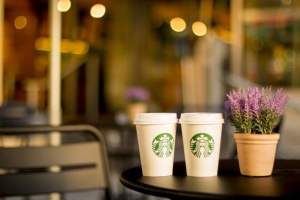 Will Starbucks Maintain Its Upward Momentum in Q2?